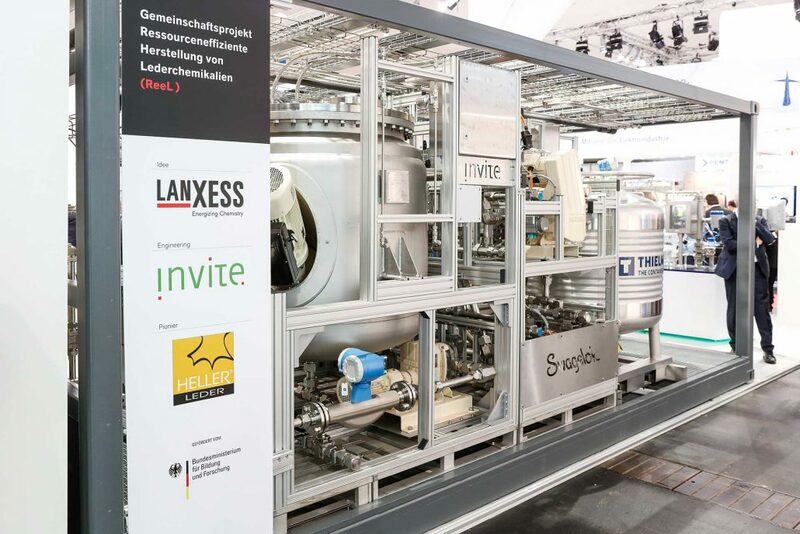 LANXESS is developing a completely new type of technology for tanneries in a special research project. 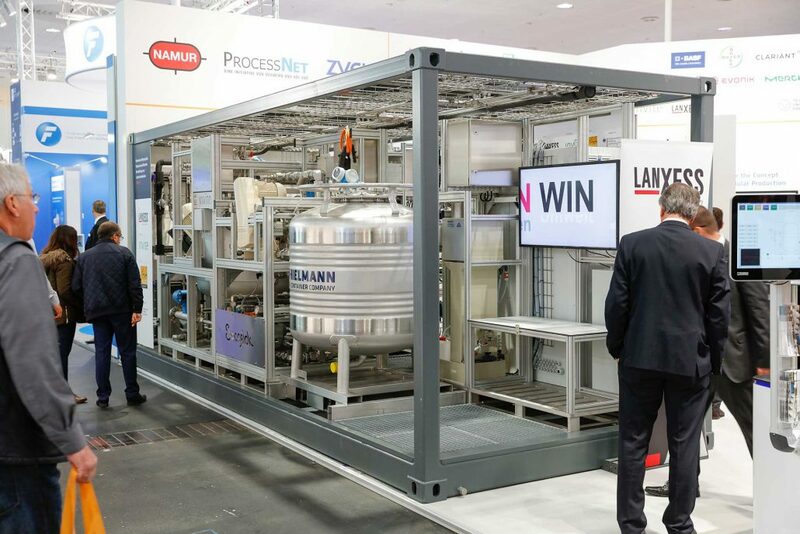 Thanks to a modular facility it will be possible to completely recycle residues from leather manufacturing – and on location too. Alongside plant biomass, the main raw materials in this new process are shavings containing collagen and waste cuts. 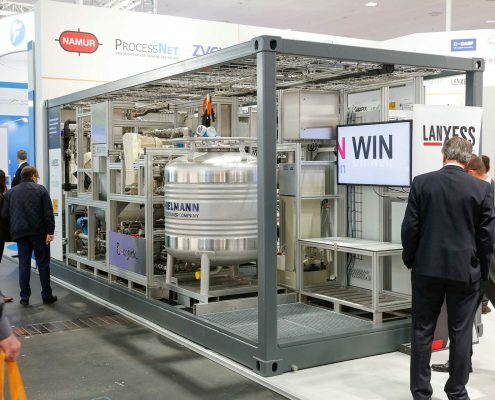 These can be used to produce “X-Biomer” brand retanning agents for manufacturing leather. 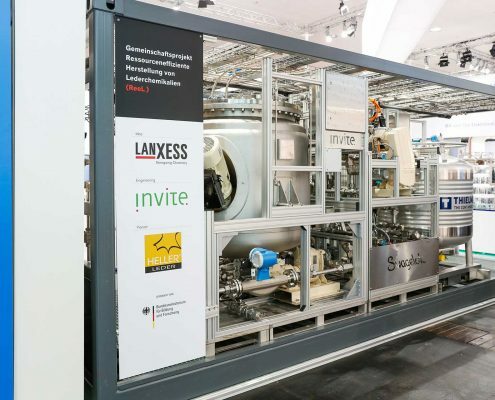 Under the title “Resource-efficient manufacturing of leather chemicals” (ReeL), LANXESS’s Leather business unit has built a pilot plant together with the Leverkusen-based research institute INVITE. 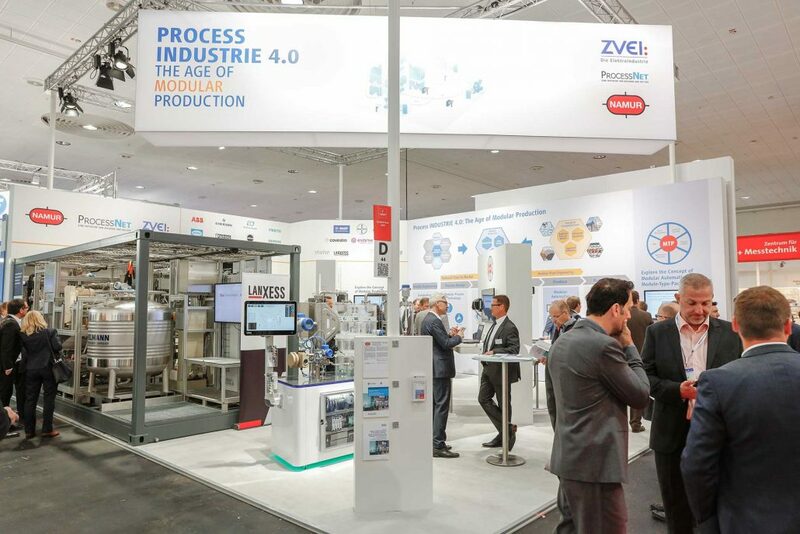 Practical tests are taking place on the premises of the third project partner, HELLER-LEDER GmbH Co. KG tannery in Hehlen, Lower Saxony. A medium-sized tannery generates several metric tons of shavings as by-products every day. 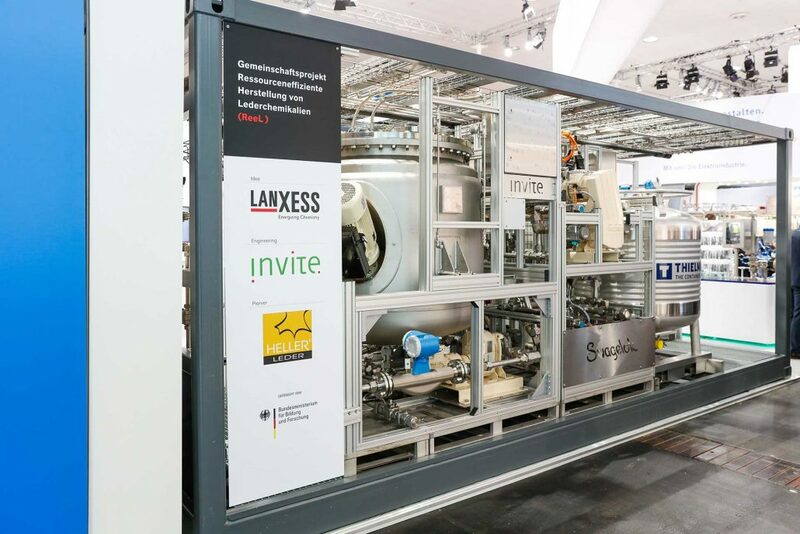 Using a production unit leased from LANXESS, the plant can in the future manufacture a comparable volume of liquid X-Biomer directly on site – fully automatically and virtually independently. Every trace of the waste is recycled, leaving no residue, and without generating any emissions. 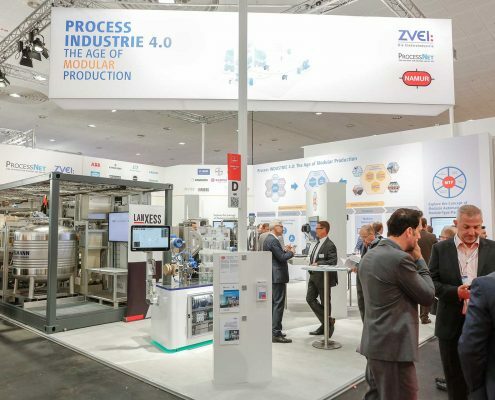 “Thanks to ReeL, tanners can save enormously on resources in logistics and packaging through in-situ and just-in-time production. 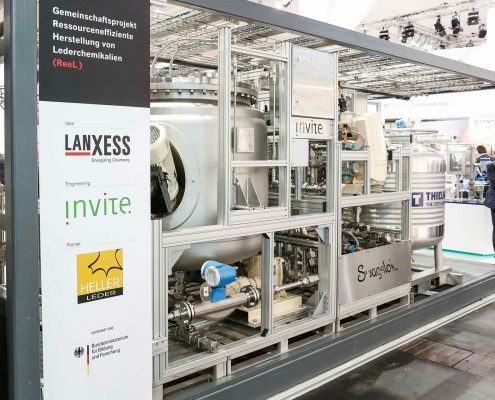 On the other hand, they do not have to dispose of unavoidable by-products such as shavings: these are now used as raw materials for retanning chemistry,” explains Dietrich Tegtmeyer, head of the project at LANXESS. The joint project has an overall investment volume of around EUR 5 million. 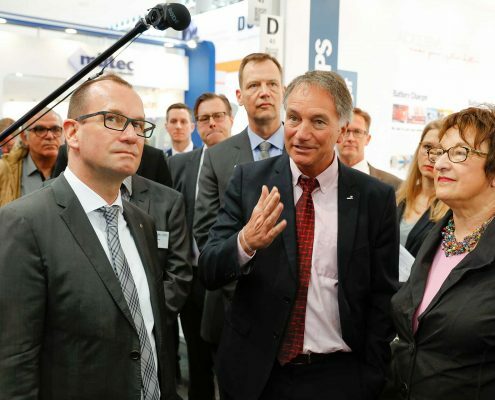 It launched in January 2016, with almost half of the investment being provided through subsidies from the German Federal Ministry of Education and Research (BMBF) spread over three years. The new production unit for recycling shavings in leather manufacturing was presented to the public for the first time at this year’s Hanover Fair in April. 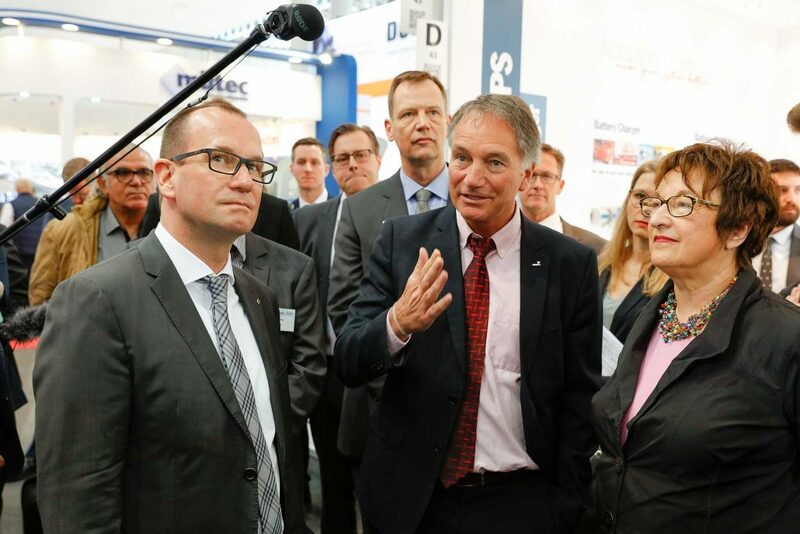 The guests included Brigitte Zypries, German Federal Minister for Economic Affairs and Energy, who had the principle of the unit explained to her and was visibly impressed.